Most folks that come to us believing they need a new furnace actually don't. What they need is a better understanding of furnaces and how their age and efficiency impact their overall cost of ownership and reliability. Think it's odd that a company that supplies and installs replacement furnaces would proactively tell you replacing your furnace is usually not in your best interest financially? Well, we're not here to serve our interests at the expense of your interests, we're here to serve our interests through serving yours. That, and we're pretty fond of sleeping soundly at night, knowing we earn a living helping and serving people, not capitalizing on their misconceptions of our industry to lighten their pockets and pad our own. If you really want a new furnace despite it often not being necessary or cost-effective overall, or have read the blurbs below about why we feel that furnace replacement is often not the best course of action (financially speaking) for homeowners in most situation and still wish to get a new furnace, we're happy to come visit your home and provide you with a quote for replacing your furnace, we just want to make sure you know the cold hard facts about the value you're likely to derive from replacing the furnace before we're comfortable selling you a new furnace. And yes, sometimes you actually need a new furnace, but far less often than most think they do. Often our furnace replacement quote requests are motivated by the belief that because a furnace is old, it must be unreliable, but the reality is that furnaces that predate 1980 (low-efficient furnaces) usually have 1/5th the functional parts as the new high-efficiency furnaces on the market today, and most furnaces from 1980 through the mid-2000's, mid-efficient furnaces, have about 2/3rds the functional components of the new furnaces. Less parts in the machine mean less parts to fail, which means less furnace failures overall and therefore more reliability and less repair costs. It's also worth noting that those old "size of a grown man" furnaces were built to last, whereas today's furnaces, regardless of brand and model grade, are built to be the least expensive product the manufacture can create and ship to their vendor outlets, and due to this, many of those old furnaces people are having replaced with new high-efficiency models would have ultimately outlasted the furnace they were replaced with. Another big motivator for wanting a furnace replaced is efficiency, most people believe their older furnace is costing them an arm and a leg in fuel costs, and a new high-efficient furnace would wave them a lot of money each winter. The fact is that while yes, that old 1960's furnace is definitely using more fuel than the high-efficiency furnace we could replace it with would to get the same amount of heat into the home. For the average Calgary area house, that additional fuel consumption of the old furnace usually only amounts to $200 in extra natural gas costs per year. Given that the average furnace replacement comes in around $5000 and that the new style of furnaces generally get replaced after 15-25 years, folks that replace an old low-efficiency furnace with a new high-efficiency furnace will generally have to get the full 25 year maximum life expectancy out of their new furnace to have it's improved fuel efficiency finally repay the cost of it's installation. That $5000 ballpark figure for replacing a furnace is more often than not better spent on improving how well your home retains heat; air-sealing your home is usually the efficiency improvement holding the biggest home efficiency gains with the least money invested, versus how efficiently it adds heat. An energy adviser can, for less than 10% the cost of a new furnace, test your home's efficiency and provide you with a very detailed report about where your home's biggest energy losses are, and give you a detailed listing of what home improvements are going to make what difference, prioritized for the biggest efficiency gains for the least investment. Sometimes it is the furnace that's the best improvement, dollar invested per dollar saved, though more often than not, it isn't. If you'd like to be connected with a fantastic home energy advisor we recommend all our clients interested in replacing their furnace for the purpose of improving their home's energy efficiency use to confirm that a new furnace is actually going to be the best use of that $5000 before seriously considering a furnace replacement, please let us know as we'dd be happy to make that introduction, and introduction that is likely to save you thousands of dollars up front, and even more over time. Folks often think it's a prudent choice to replace their aged furnace before they experience break-downs which, with a few repairs over a handful of years, will probably cost them more than a new furnace anyway. Again, this isn't reality. It's uncommon (though more common with the new high-efficiency furnaces) for any furnace, old through new, to require a repair more often than every 5 or so years, and generally speaking, the older the furnace, the less expensive the average repair, as more of the components in the older furnaces are cross-compatible across many different furnace brands and models, meaning their repair parts a produced and stocked at a greater volume, leading to better repair parts availability and lower parts cost, whereas the majority of components in new furnaces are specific to exactly that make, often specific to the model itself, and sometime specific to only that exact make, model, heating output and engineering revision series. This dramatically lowers the repair parts availability and increases their cost. As an aside, even if that old 1960's low-efficient furnace did require multiple components replaced at the same time, we can usually replace every functional component (read: moving part) in that furnace for less than half the cost of replacing the furnace outright. 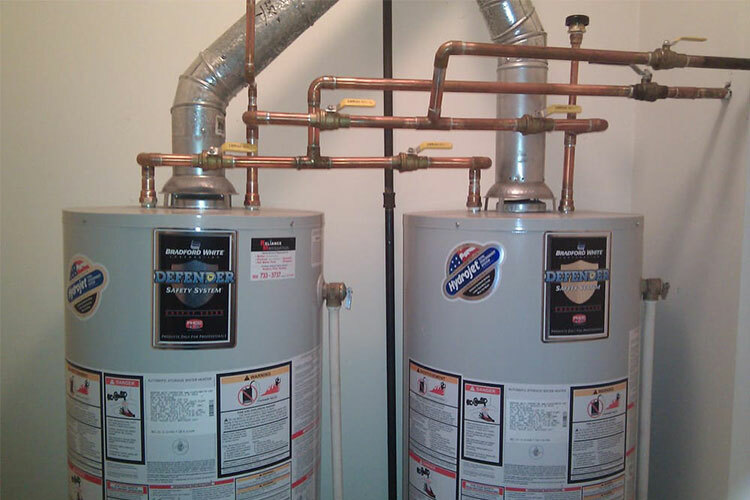 For mid-efficient furnaces that figure is closer to 50%-60% of the cost of replacing the furnace. That said, if we were to identify such extreme repairs were required, we'd counsel you to replace the furnace for the additional warranty protection—10 years parts and labour on the new furnaces we supply and install, versus 1 year parts and labour warranty on furnace repairs, but the previous examples show just how much more cost-effective keeping an older furnace alive is through infrequent repairs compared to replacing the furnace with a new high-efficient model. There is some merit to the motivation for replacing an old, low-efficient furnace, with a new high-efficiency model for safety, though only a little. Pretty much every residential furnace made since 1990, and a handful of furnace models that predate that, are a little safer. 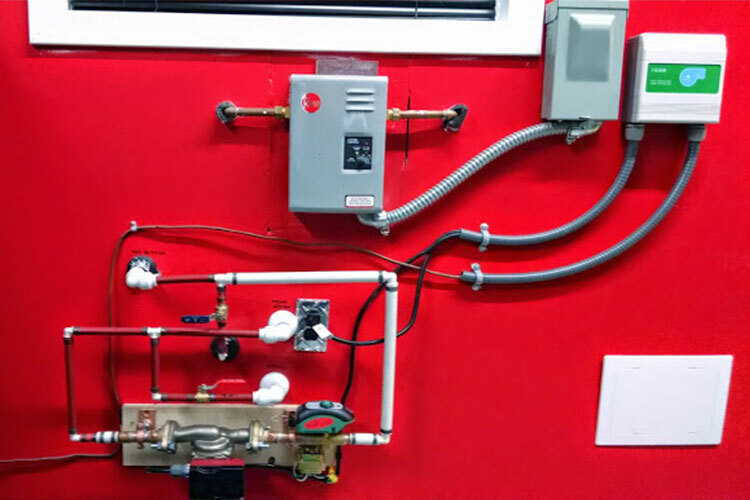 They have a plethora of additional safety circuits and components that will shut the furnace down at the first hint of trouble that older furnaces don't. This is a large part of why new furnaces have more components than older furnaces, and break down more often. Most of the time when one of those additional safety circuits on new furnaces shut the furnace down, it's because the safety component on that safety circuit has failed, as opposed to the safety component actually detecting an unsafe condition. That said, older furnaces are still far less likely to continue to operate in an unsafe condition than new furnaces are to stop working believing there to be an unsafe condition present, when there actually isn't.